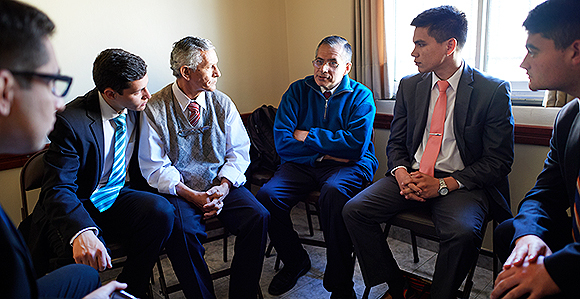 The First Presidency has announced that high priests and elders in a ward combined into one elders quorum to increase unity and effectiveness in doing the work of the Lord. During the general priesthood session on Saturday, March 31, President Russell M. Nelson announced a “significant” restructuring of ward and stake Melchizedek Priesthood quorums that will help Melchizedek Priesthood holders “accomplish the work of the Lord more effectively. In each ward, the high priests group and the elders quorum will now be combined into one elders quorum,” he said. There will continue to be a stake high priests quorum, but it will based on “current” priesthood callings. In subsequent talks, Elder D. Todd Christofferson and Elder Ronald A. Rasband, both of the Quorum of the Twelve Apostles, added further details about the announced changes. The ward elders quorum will be led by one presidency. The presidency may be comprised of elders and high priests, explained Elder Christofferson. 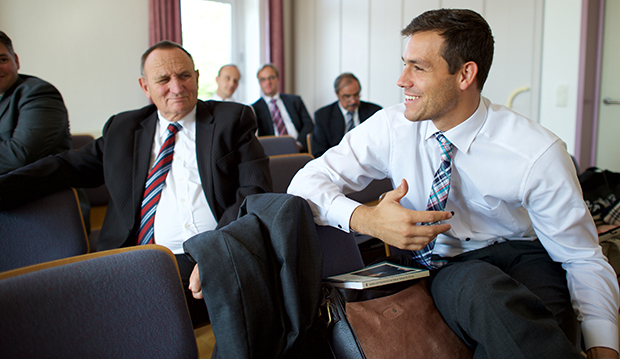 The elders quorum president will report to the stake president and meet regularly with the bishop. The current elders quorum presidency will be released and the stake president will call a new elders quorum presidency. 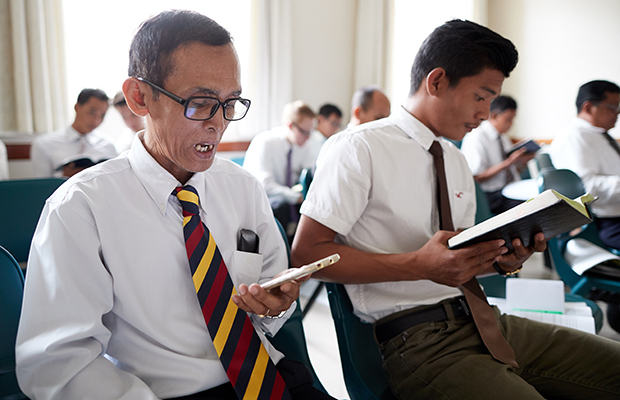 “When a ward has an unusually large number of active Melchizedek Priesthood bearers, leaders may organize more than one elders quorum,” said Elder Rasband (see D&C 107:89). A unified ward Melchizedek Priesthood quorum will allow quorum members to learn from each other as they work together to do all aspects of the work of salvation, including temple and family history work previously coordinated by the high priests, Elder Christofferson said. “The wisdom, experience, capacity, and strength that will be found in these quorums portend a new day and a new standard of priesthood service across the Church,” he said. The high priests quorum in the stake will include only those high priests currently serving in the stake presidency, in bishoprics, on the high council, and as functioning patriarchs. High priests and elders are combined into one elders quorum. Stake high priests quorum is based on current leadership calling.